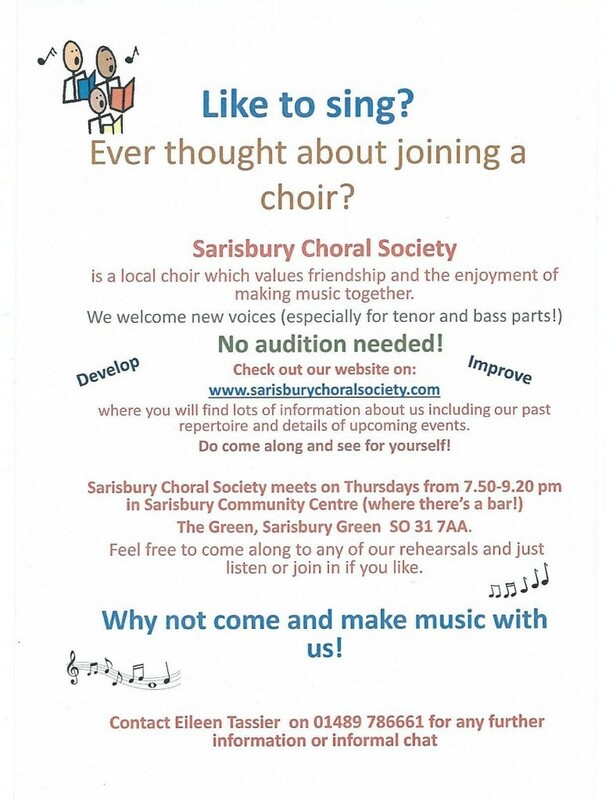 Being a member of Sarisbury Choral Society is an enjoyable and educational experience for beginners and experienced singers alike; the only requirement is a love of singing! A warm welcome is extended to all who would like to join. For more information please get in touch via the contact form, or just come along to any Thursday rehearsal.